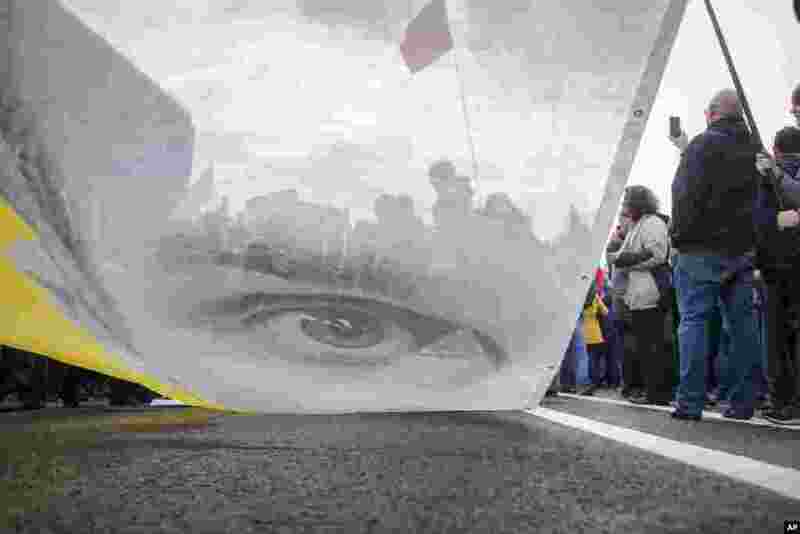 1 Protesters hold a poster with the image of political prisoner Oleg Sentsov during an opposition rally organized by 'Free Russia' in Moscow, Russia. 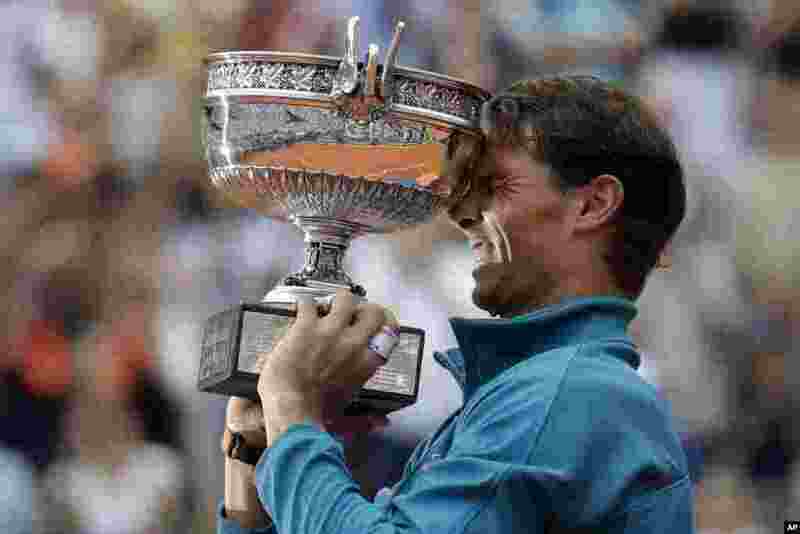 2 Spain's Rafael Nadal holds the trophy as he celebrates winning the men's final match of the French Open tennis tournament against Austria's Dominic Thiem in three sets 6-4, 6-3, 6-2, at the Roland Garros stadium in Paris, France. 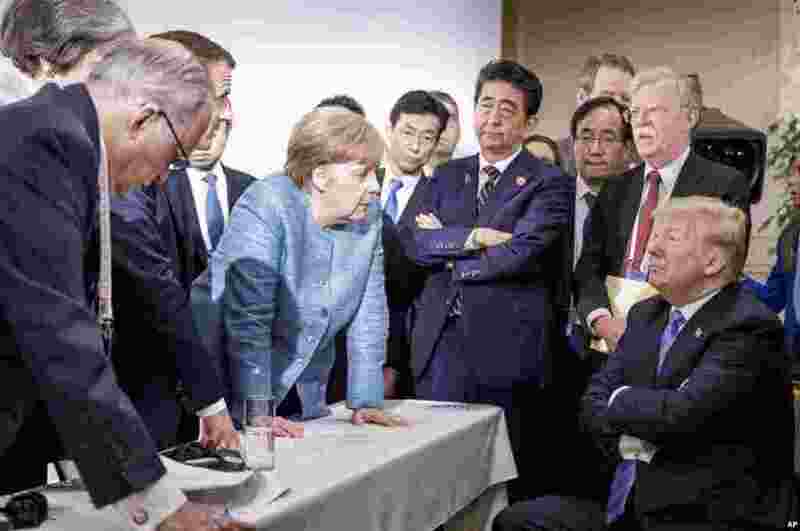 3 In this photo made available by the German Federal Government, German Chancellor Angela Merkel, center, speaks with U.S. President Donald Trump, seated at right, during the G7 Leaders Summit in La Malbaie, Quebec, Canada, June 9, 2018. 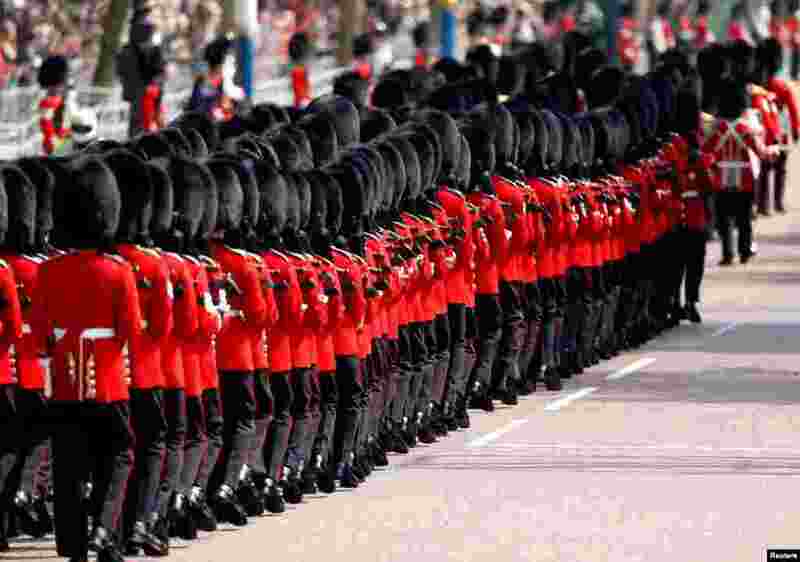 4 Members of the Household Division march for the annual Trooping the Colour Ceremony in London, June 9, 2018.